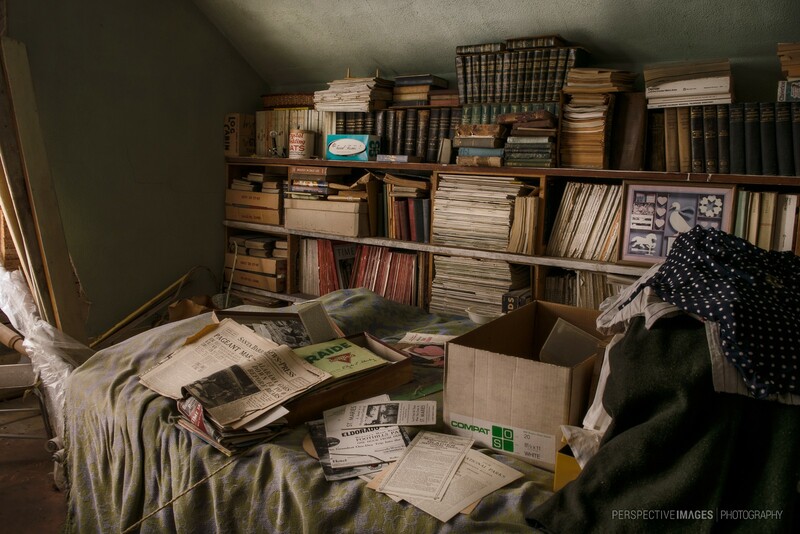 A life times collection of books, newspapers and magazines are stacked in every available free space at this abandoned eastern plains home. Lovely image. I wonder what that encyclopaedia is on the top shelf. Thanks! From what I could see, there were books on every subject imaginable. In portuguese we have the word “alfarrabista” to designate a person who collects or negotiates old books. This collection of old books, would be a small treasure for one of them. Bob would consider that a mess that should burn down, but I would start looking through everything! Some I would want to keep also! Why would someone leave what looks like an amazing collection of books and magazines? What an awesome find! I would be so thrilled if I ran into this! I surely cold explore this room for hours. You can tell a lot of a person by looking in to what he/she read.